The sun was shining as The Thomson Gray Seamab Fives – The Blue Dragons Tournament kicked off. 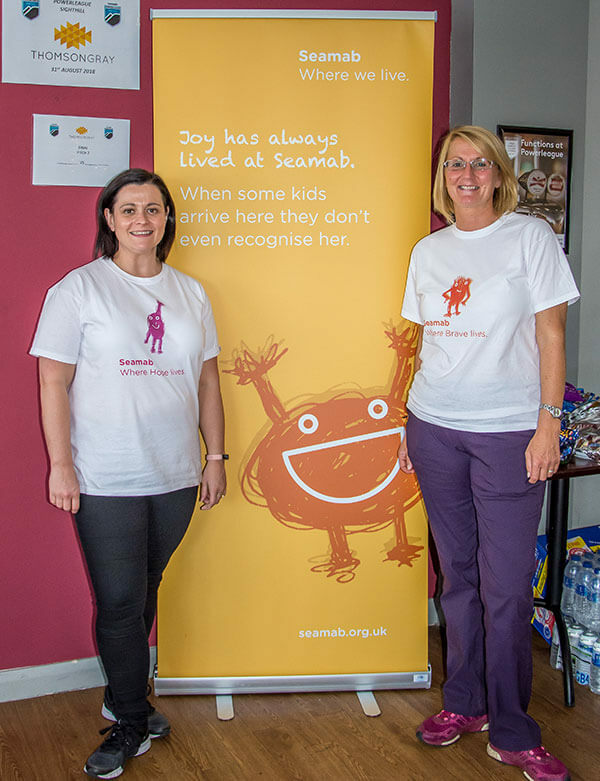 Taking place at Powerleague Sighthill in Edinburgh on Friday 31 August 2018, the five-a-side football tournament raised over £7,500 for Seamab School. All of the 19 teams, who entered can be happy with their efforts on the day. 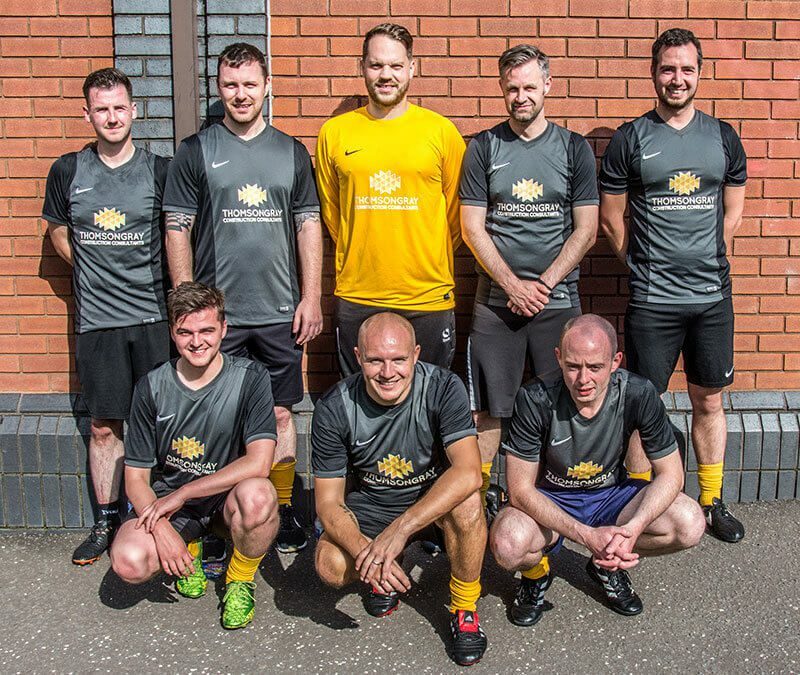 The Blue Dragons Tournament action came to a dramatic climax in the final, where our own Thomson Gray team were steamrollered by the dominant FES team, in a 4-0 victory. While the football and chat was all good fun, the real purpose of the Seamab Fives tournament was to maximise fundraising for Seamab School. The post-match charity auction was a success, despite there being no Hells Angels present. Our main auction prize, a weekend’s hire of a brand new Harley-Davidson went unsold. This exciting prize (if you’re a biker) was kindly donated by Edinburgh Harley-Davidson and is worth over £500. If anyone knows a biker friend who may be interested, please email tgseamabfives@thomsongray.com or get in touch with our office manager Kim Manson. Although the kids were unable to participate directly in the Seamab Fives tournament, they did have some involvement. The unusual name, The Blue Dragons Tournament, came directly from them. The proceeds from last year’s tournament went towards experience extras for the kids. This included items such as ski passes and mountain bikes, as well as equipment for their forest schools programme. Michael Steel, Associate at Thomson Gray would like to extend thanks, on behalf of the entire Thomson Gray team, to all of those who participated. Special thanks also go to our sponsors – Cornhill Building Services, Bauder, Ashwood Scotland, Forth Stone and Business Fives. We’d also like to thank everyone who donated the excellent auction and raffle prizes. We’re also grateful to Jordan and his team at Powerleague Sighthill, for providing a seamless tournament experience. Many thanks, also to our official photographers from Spence Photography, Josh from La Favorita restaurant, for manning the pizza wagon. Finally, our organising committee of Kim, Duncan, Neil, Emma, Jamie and Stewart, did a fantastic job of pulling off this event.